Bacardi Global Travel Retail is showcasing a number of new launches at the Summit of the Americas. 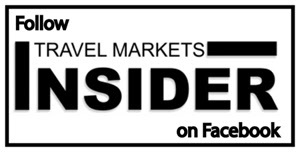 Bacardi is bringing extensive innovation to travel retail throughout the region and is taking a leading role in revitalizing several liquor categories, says the company. Bacardi will open a new Patrón bar experience at the end of March at Cancun Airport Terminal 3. A 5-year collaboration between Bacardi Global Travel Retail with ASUR Cancun Airport Authority and Dufry, the bar will be located on the main concourse of Terminal 3, just outside the Dufry store and staffed by a dedicated Patrón mixologist and retail ambassadors. The high profile location will allow passengers to sample from the Patrón range and to grow their understanding of the versatility of Patrón in cocktail-making. The bar will engage passengers with Patrón and also encourage sales from the adjacent Dufry store, says the company. 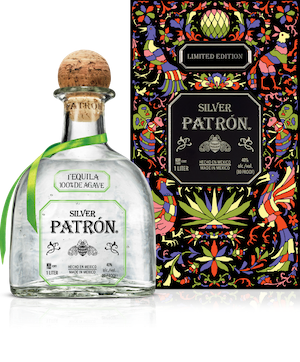 The Dufry Cancun store will feature the new limited edition Silver Patrón gift tin, exclusive to Global Travel Retail, featuring a design that celebrates the Mexican heritage and home of Patrón, price US$50 (1 liter). Bacardi is bringing back one of vodka fan’s favorite spirits this year. Grey Goose La Vanille was one of the first ever super premium 100% all natural Vanilla flavored vodkas when it debuted 2003. After a successful limited edition run, production ended when the company shifted the focus to core flavors. Grey Goose Cellar Master François Thibault has retrieved the original recipe, bringing this iconic flavor back to life, and tasting every batch before bottling. Grey Goose La Vanille is crafted by blending Grey Goose with natural vanilla flavor sourced from beans harvested in Madagascar. In the U.S. domestic market, Vanilla is a top selling flavor in the spirits category, growing by 40% (Nielsen 2018). Bacardi is coming out with two new rums: Bacardi Oro Ginger and Bacardi Lime. Bacardi Oro Ginger is a golden rum infused with ginger flavors. According to IWSR (2018), flavored and spiced rum account for 22% of all rum sales and continues to grow. Bacardi Lime is a blend of intense fruit flavor with aromas of lime zest and natural citrus notes. Lime is the fastest growing flavor in the top 100 flavors tracked in Nielsen research. Dewar’s Double Double is a new series of aged statement blended scotch whiskies, crafted using a unique four-stage ageing process It is now available as a Global Travel Exclusive with DFS, supported by a communications campaign running on DFS digital platforms. Dewar’s Double Double’s inspiration comes from the history of the brand’s Master Blenders. 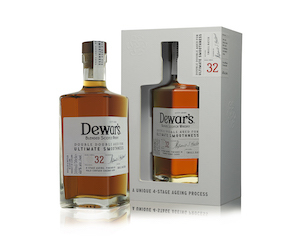 Dewar’s first Master Blender A.J. Cameron pioneered ‘double-ageing’ in 1881, working the next twenty years adding further steps to the ageing process. Almost 120 years later, Stephanie Macleod, Dewar’s seventh Master Blender, is now releasing the ‘Double Double’ series– a range of blended 21-, 27- and 32- year old whiskies aged four times for ‘ultimate smoothness’. Dewar’s Double Double Series was created using a four step process.